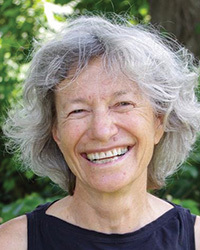 Arinna Weisman has studied Vipassana Meditation since 1979 and has been teaching since 1988. Her root teacher, Ruth Denison, was empowered by the great Burmese master U Bha Khin. She is the founding teacher of Insight Meditation Center of the Pioneer Valley, and is the co-author of A Beginner's Guide to Insight Meditation. Her teaching is infused with her political activism and, along with Eric Kolvig, she has been leading retreats for the lesbian, gay, bisexual and transgender community since 1991.